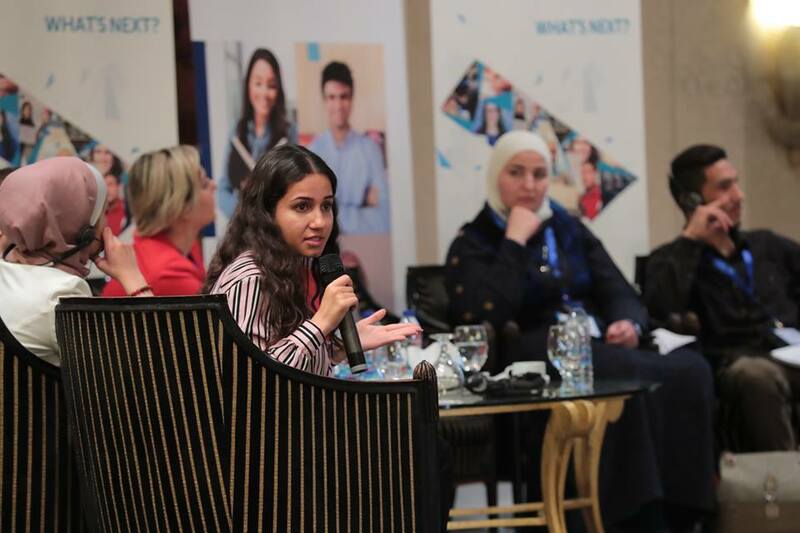 Jordanian Syrian HOPES-Madad students have shared their concerns, ambitions and future plans after graduation during a two-day regional conference on higher education. More than 110 representatives met to discuss latest achievements, innovative and realistic solutions for employability, blended learning and online teaching solutions. HOPES, (Higher and Further Education Opportunities and Perspectives for Syrians), is a €12 million regional project, funded by the European Union’s Regional Trust Fund in response to the Syrian Crisis. It is implemented by the German Academic Exchange Service (DAAD) together with the British Council, Campus France and the Dutch organisation for internationalisation in education (Nuffic). It aims at improving prospects for young Syrians and contributing to the preparation of the post-crisis reconstruction of Syria. The project seeks to provide better access to quality further and higher education opportunities for refugees of post-secondary-age from Syria as well as young people in the host communities affected by the high influx of refugees in Egypt, Iraq, Jordan, Lebanon and Turkey.